Across the swan's riding ; Giving shape / Jim Franklin. Non-commercial CD, for study purposes only. 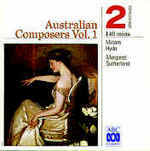 Score: Across the swan's riding : for piano and orchestra / Jim Franklin. 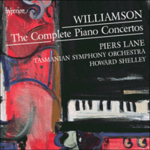 CD: The complete piano concertos / Malcolm Williamson ; Piers Lane, Tasmanian Symphony Orchestra, Howard Shelley. 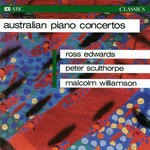 CD: Australian piano concertos / Edwards, Williamson, Sculthorpe. 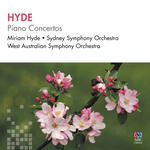 CD: Piano concertos ; Village fair / Miriam Hyde.